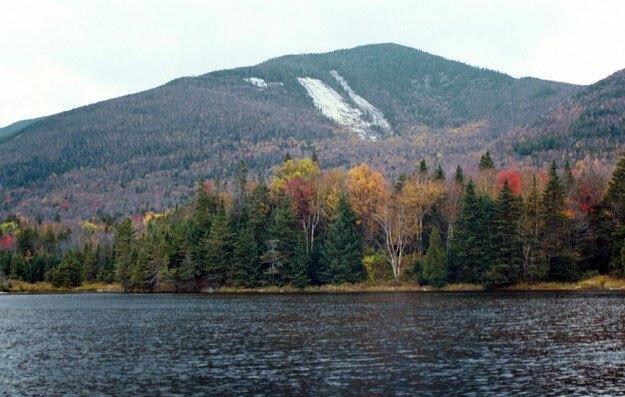 Whale’s Tale mountain from Marcy Dam. 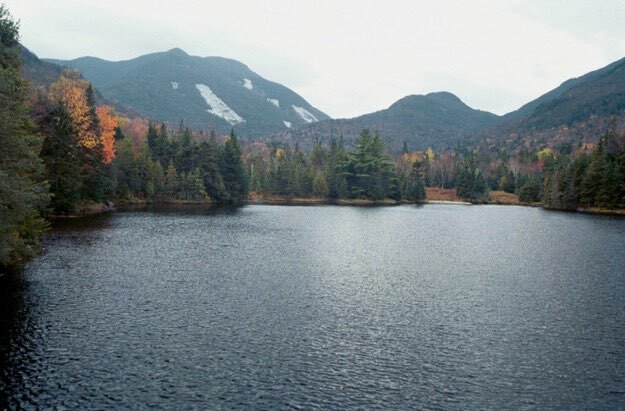 Marcy Dam looking south at Mt. Colden, Avalanche Mountain, and the beginning of Avalanche Pass. Phelps Mountain, (32nd at 4,161 ft.) was a great day-hike. 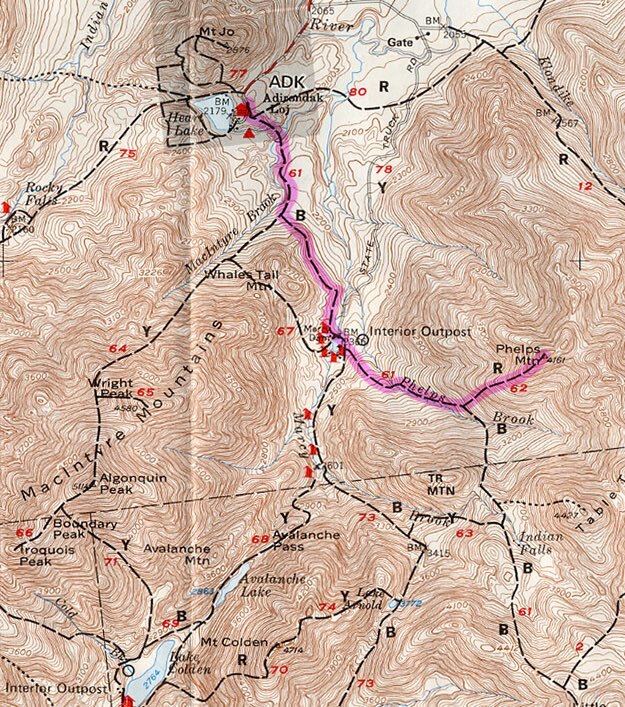 We departed the Adirondak Loj around 10:00 AM, and hiked south to Marcy Dam. After a few photos, we continued on, following Phelps Brook to the trail to the turn off to the left which took us up to the summit of Phelps. 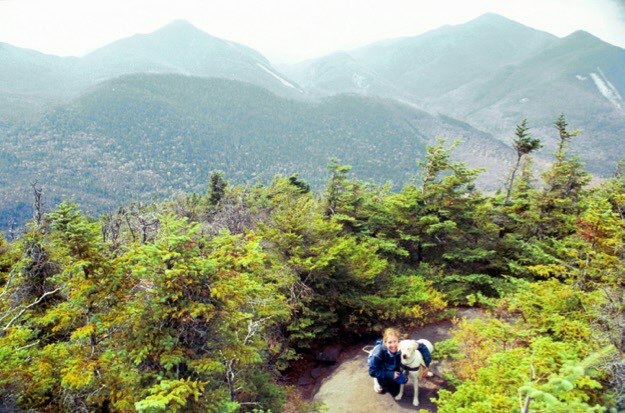 This was one of the easier ascents I’ve ever done, and it offers decent views facing south and southwest, towards Mount Marcy, Colden and Avalanche Pass. The summit is wooded, so you don’t have a 360˚ panorama, but there’s a nice cliff edge to see far and wide, and take a nice lunch break. 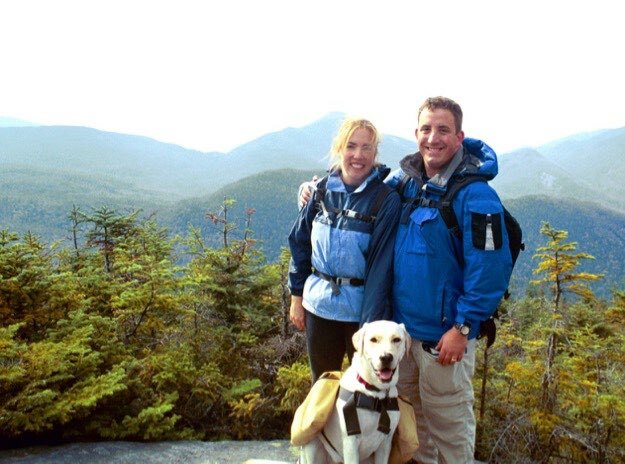 This was a great day hike for families and dogs, too. We were back to the cars in the early afternoon. The view opens up behind Jen and Molly. TR mountain in the foreground, with Mt. 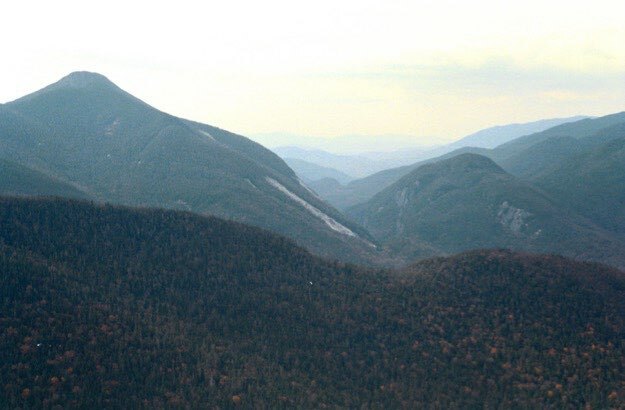 Colden, Avalanche Pass, Algonquin Mountain and Wright Peak from left to right. 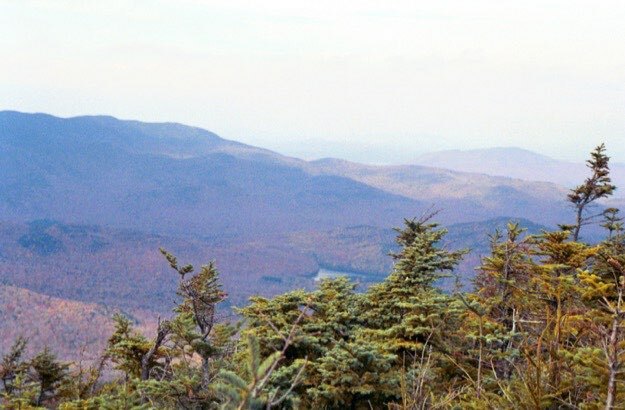 The dark mound of TR mountain in the left foreground, with Mt. 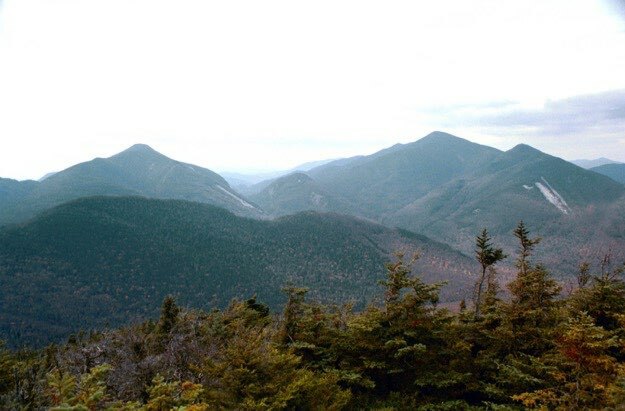 Colden behind, then moving right, Avalanche Pass, small Avalanche Mountain, Algonquin Mountain and Wright Peak. 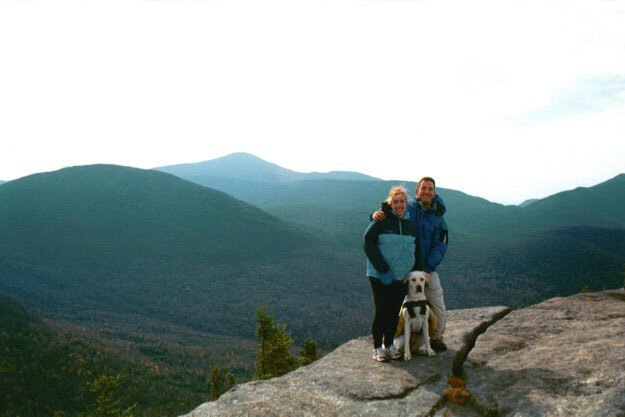 Family portrait on the summit of Phelps. 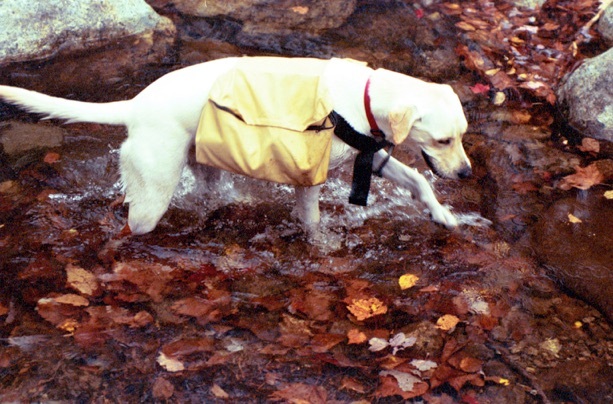 Molly getting a drink in Phelps brook. 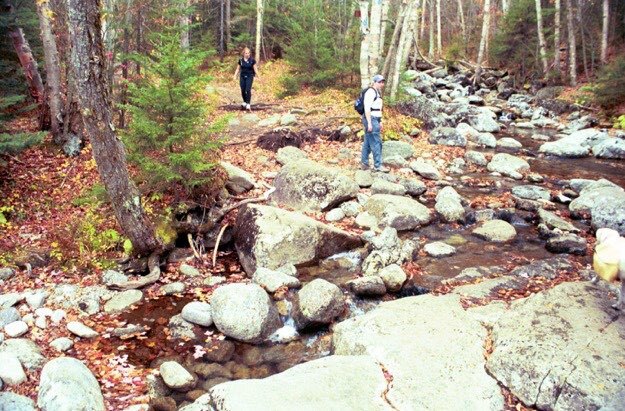 The hike up the Hoevenberg trail crosses over Phelps Brook. The view west towards Nye Mountain, Heart Lake and Mt. Jo. A nice view from the cliff edge south towards distant Mt. Marcy in the distance. 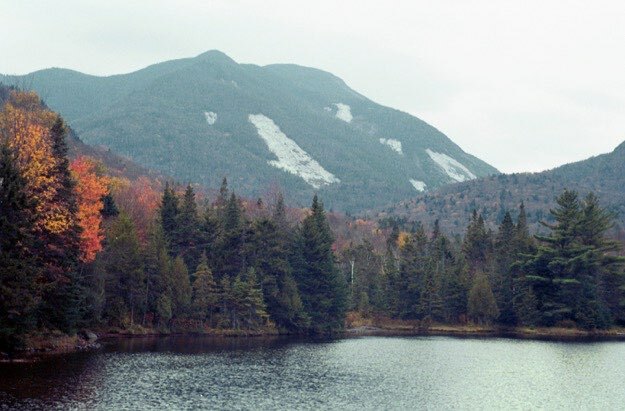 Zoomed-in view of Mt. Colden and the scarred rock slides on its’ western face. 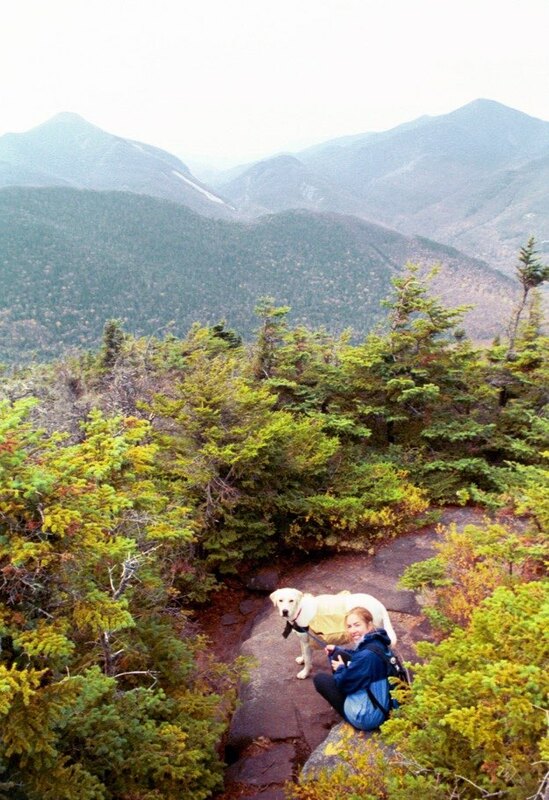 Jen and our dog Molly take a break on the way down to get one last view. 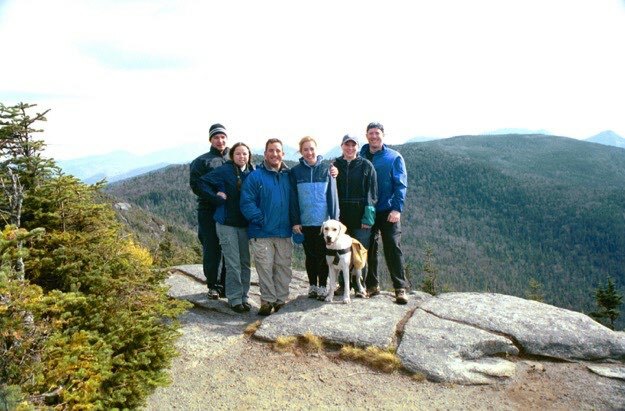 The entire group of us: Richie and Haley, myself, Jen and Molly (the yellow lab), Karen and Andy. 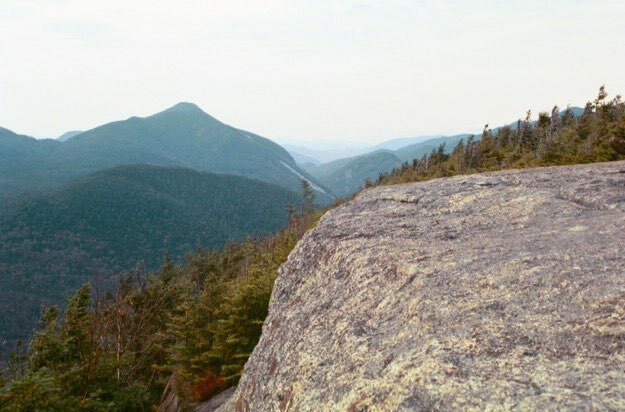 This is standing on the edge of the cliff, with Tabletop Mountain behind, looking eastward. The edge of the summit cliff.